MENfluential Media is a team of influencers with access to a network of talented men’s lifestyle content creators and their millions of social media followers. MENfluential helps build brand awareness by matching companies with content creators who influence certain target demographics. 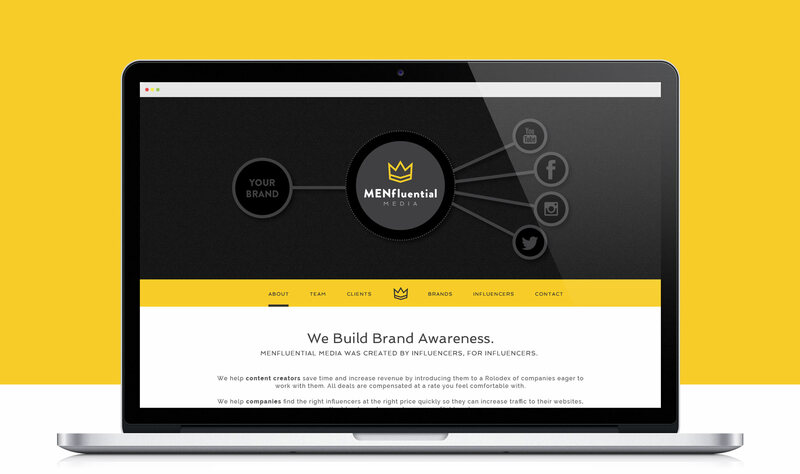 Being a new company, MENfluential contacted us to create a brand identity and website. We designed a logo that showcases MENfluential’s access to social media “kings” and evokes a sense of power and influence. 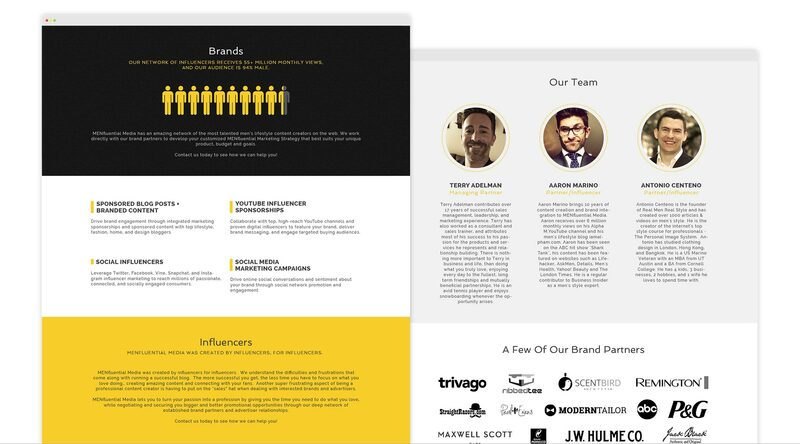 We put together a media kit that highlighted advertising statistics that are appealing to companies and content creators. We also developed a custom WordPress website from the Genesis framework that promotes the MENfluential brand and puts them in touch with potential clients. Tell us about your project and learn what we can do for you.